Ganesh Chaturthi, also known as Vinayaka Chaturthi, is the Hindu festival of Lord Ganesh. 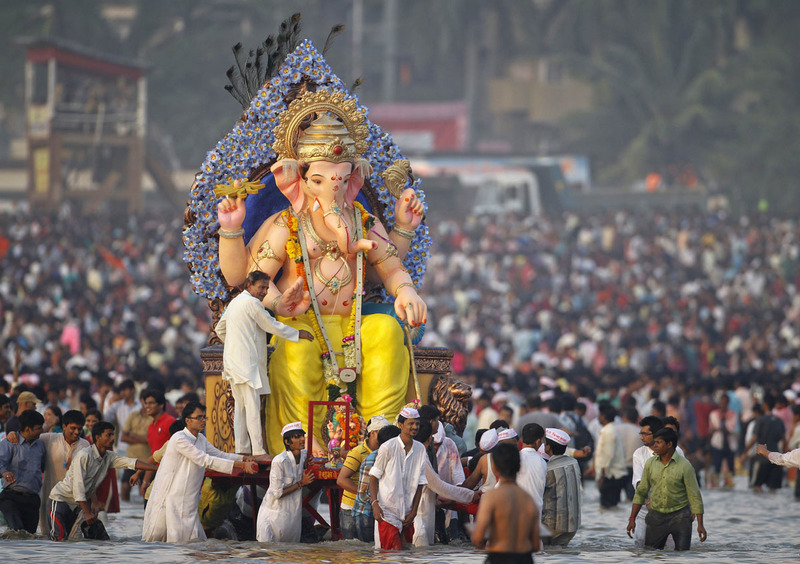 It is a 10-day festival marking the birthday of Ganesh, who is widely worshipped for auspicious beginnings. Ganesh is the patron of arts and sciences and the deity of intellect and wisdom, also known as Remover of Obstacles. 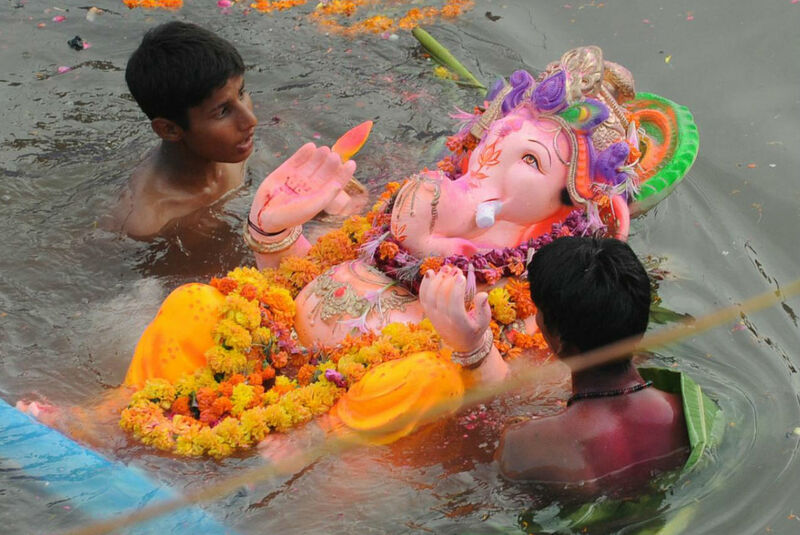 Ganesh Chaturthi is celebrated all over India and among the Hindu Indian diaspora, and it is observed in an especially grand manner in Maharashtra. Prior to the festival, skilled artisans prepare clay models of Lord Ganesha. Houses are cleaned as devotees prepare to bring the Lord Ganesh into their homes and install the deity. Special prayers, devotional chanting and singing are performed for all 10 days. Delicious sweets are prepared and distributed on this joyous occasion. 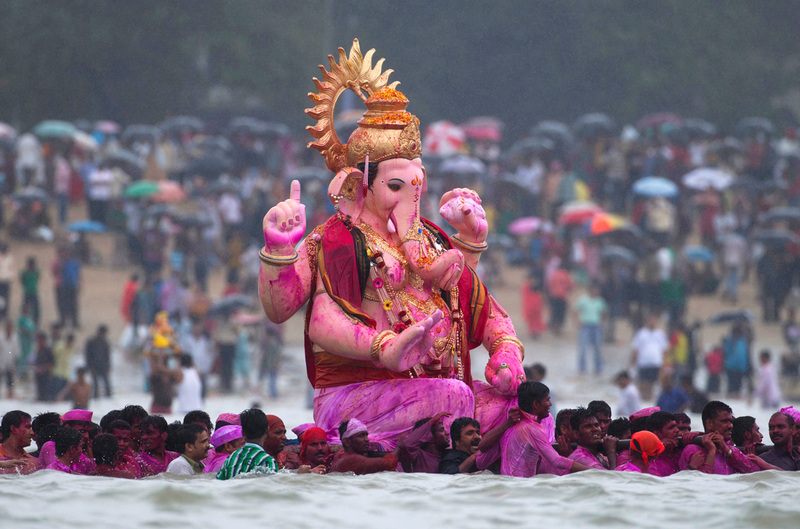 On the 11th day, the Ganesh statue is taken through the streets in a procession accompanied with dancing, singing and fanfare to be immersed in a river or the sea. This festival is observed in the Hindu calendar month of Bhaadrapada, and the date usually falls between Aug. 20 and Sept. 15. 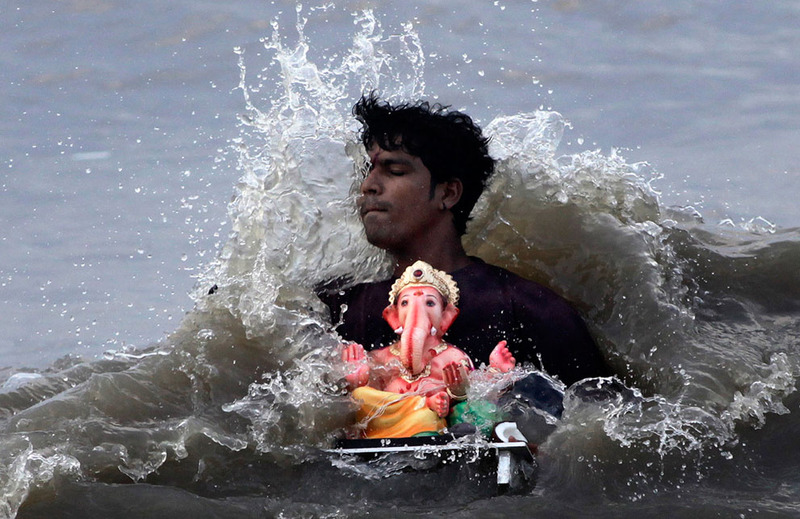 In 2013, Ganesh Chaturthi begins on September 9.